Moscow, December 2, Interfax – Patriarch Kirill of Moscow and All Russia has stated his wishes to the translation of the Bible into modern Russian. “Everyone understands the Synodal Translation [which was made in the 19th century]. There are some flaws and mistakes that should be corrected from the point of view of modern knowledge and modern style, but we should by no means create a new version, thus reducing to naught the significance of the Synodal Translation,” the patriarch said at the 7th theological conference. The patriarch believes there is a need to maintain a healthy balance between tradition and modern phraseology and style “to prevent the text from becoming vulgar and to maintain its elevated tone,” he said. Patriarch Kirill also said the Synodal Translation, despite its numerous flaws, remains accessible and clear to every person who speaks Russian. 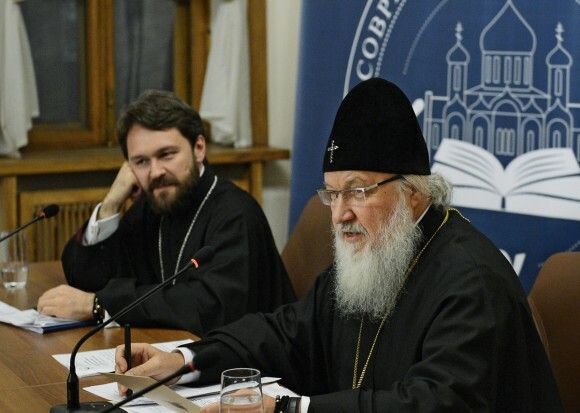 “To make a good translation into Russian we need to conduct an in-depth study into the Cyril and Methodius tradition, and that necessitates the study of a great number of theories and the issuance of a critical edition of a Slavic text of the Bible,” the patriarch said. He admitted that it will take a lot of intellectual work and many highly-qualified scientists.